How to watch Noragami Aragoto: Season 1 (2015) on Netflix USA! Sorry, Noragami Aragoto: Season 1 is not available on American Netflix, but you can unlock it right now in the USA and start watching! With a few simple steps you can change your Netflix region to a country like Pakistan and start watching Pakistani Netflix, which includes Noragami Aragoto: Season 1. 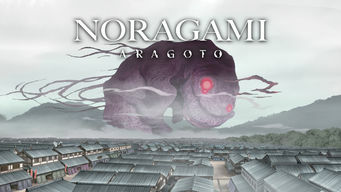 We'll keep checking Netflix USA for Noragami Aragoto: Season 1, and this page will be updated with any changes. Noragami Aragoto: Season 1 is not available in USA BUT it can be unlocked and viewed! To build his reputation, minor god Yato sells wishes granted for cheap and dispatches Phantoms with help from the spirit Yukine and human girl Hiyori. Wandering between the realm of the gods and that of the living, one minor deity of war wages war against a major god. Season 1 of Noragami Aragoto has 13 episodes. Because different Netflix countries have different availability for episodes, you'll need to check the episode listing below to see which are available in the USA. Yato, a self-styled “Delivery God”, helps people for a 5-yen offering. One day, Yukine and Hiyori help him defeat a Phantom, and he discovers a mask. Yukine makes his first friend his own age -- but it is Suzuha, a Regalia (weapon) of Bishamon, enemy of Yato. The two meet every day and grow close. 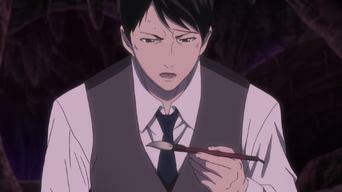 One of Bishamon’s Regalia dies, worsening his health. The healer Kugaha is behind it. Yukine goes to see Suzuha, and Kazuma tells him Suzuha’s story. 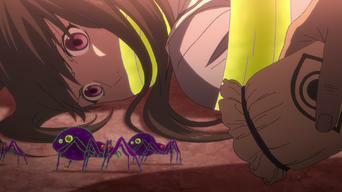 Kugaha imprisons Hiyori and Kazuma in a cave. 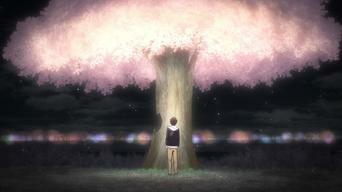 Yukine and Yato go to Takamagahara to rescue them. Bishamon awaits them, and a fateful battle ensues. Yukine becomes a Blessed Vessel for Yato. 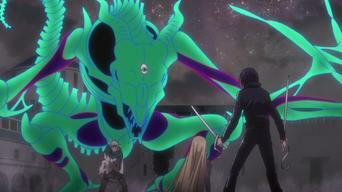 As Bishamon falls ill, Kugaha continues to nab Regalia, and the battle takes an unexpected turn. 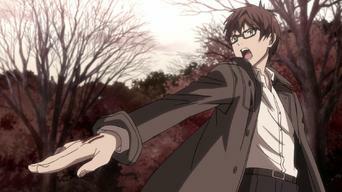 Kazuma explains the tragedy that beset the “Ma clan” to Bishamon, who returns to herself. 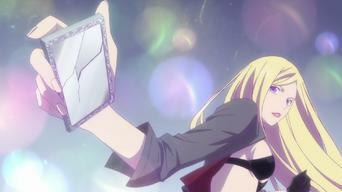 Kugaha urges Bishamon to take responsibility with her life. Yato, Yukine and Hiyori return to their normal lives after the battle with Bishamon. One day, Yato is visited by a man who wants Yukine for himself. 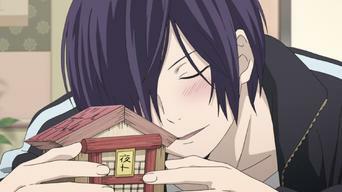 Hiyori finds it curious that Yato is so happy to get his own shrine. When Kofuku explains the fate of a nameless god, Hiyori thinks about Yato’s past. One month after Yato’s disappearance, Hiyori’s memories of him gradually fade. On their way to the Underworld, Yato and Nora meet someone unexpected. 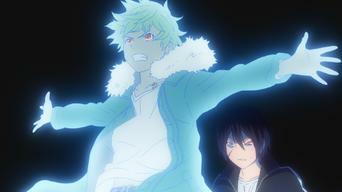 Reunited with Yukine, Hiyori remembers Yato and searches for him. 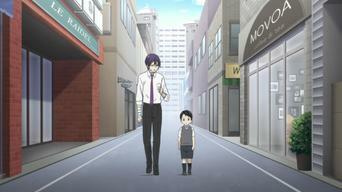 Yato and Ebisu seek an exit from the Underworld as Yato avoids Izanami’s attacks. 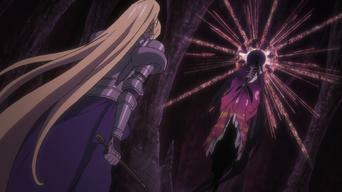 Bishamon and company rush to enter the Underworld to rescue Ebisu. 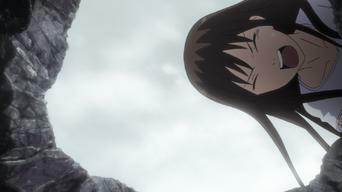 Yukine and Hiyori head to another entrance, but are blocked by the banished Kugaha. 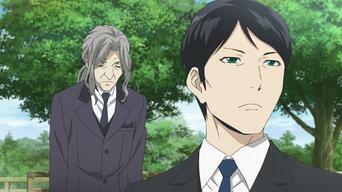 Ebisu, successfully rescued from the Underworld, tells Hiyori she may be able to save Yato with a “Soul Call”. She desperately calls out Yato’s name. Returning unharmed, Yato is disconsolate that he could not save Ebisu, but he is moved by the words Ebisu left behind and reveals his past to Yukine.